I assembled them during the weekend and fixed the bugs I found. My first impression was very good – It seems I did a decent job and had just one wrong footprint and one missing trace (the red wire in the next picture). Apart from that everything is working as expected. since the last lose prototype I also stepped the display connection up from 8bit to 16 bit – this will allow faster screen updates and thus a smoother system. 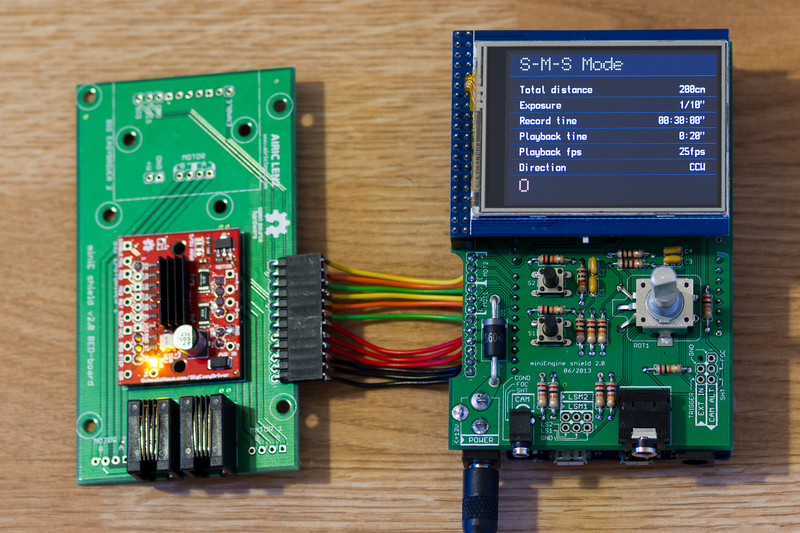 The touch input and the SD-card are working too. 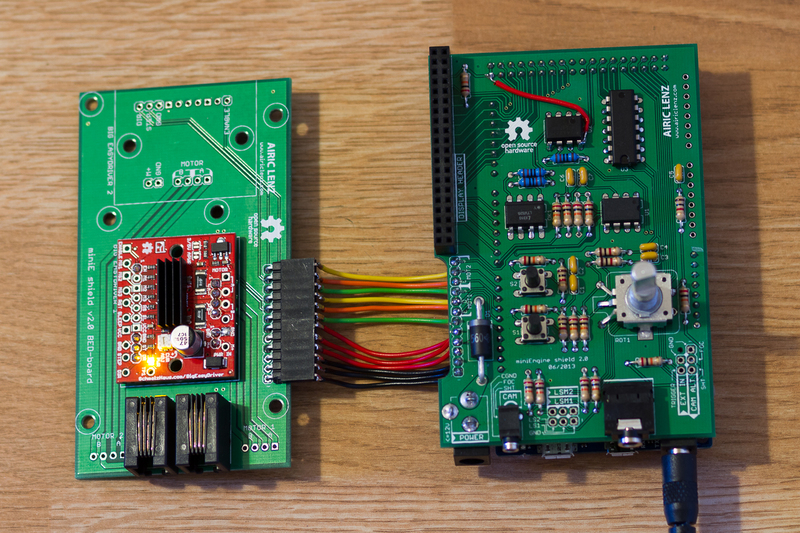 Here is the (almost) fully assembled shield plus the BigEasy driver board with just one BED sitting on it. Here is another picture with the display attached. It is just showing my test-menu which is not yet functional. The next steps will be the further Implantation of the software. I did a lot of work on the modularization of the original code and also added new features. One example is the daisy chaining. My next big task is to develop the user interface routines. When this is done, the miniE 2 will actually be functional and almost be where the original system is now in terms of functionality. In the meantime is Anderl working on the enclosure for the system and maybe we will see some nice 3D pictures of it when the next update is coming out – which will be end of July. 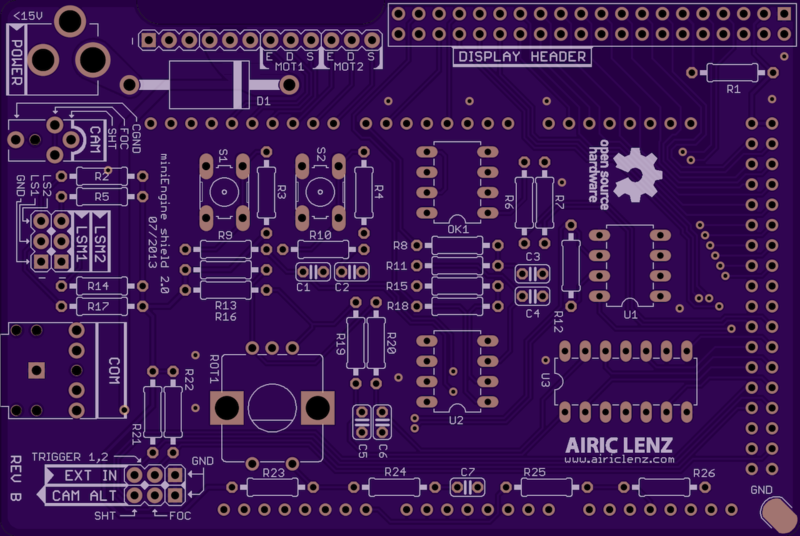 I already ordered the next iteration of the prototype PCBs. I fixed the bugs, added a second external trigger and also added a possibility to read the input voltage for being able to display the battery level. Now all pins out of the analog inputs are used. 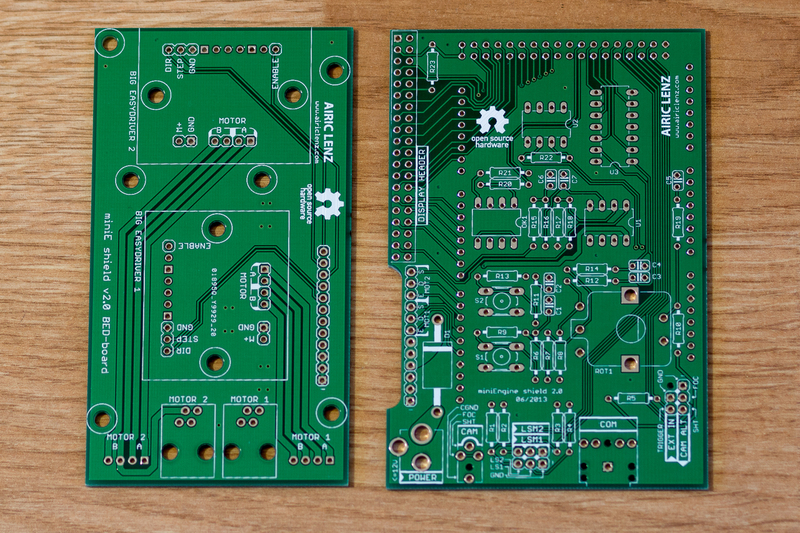 Here is a picture how the main PCB’s revB prototype will look like. Yes, it will have this color – it’s the color of OSH park.